Treating TMJ (Temporomandibular) Joint Disorders with physical therapy is an effective method to relieve pain and discomfort. When you come to NewCare Physical Therapy for your physical therapy evaluation and treatment, you can expect your therapist to analyze your jaw movement and release muscle tension in the head and neck region. Our physical therapy team will perform a comprehensive evaluation of your TMD, neck, thoracic spine and shoulder girdle to determine the structures causing TMJ symptoms. 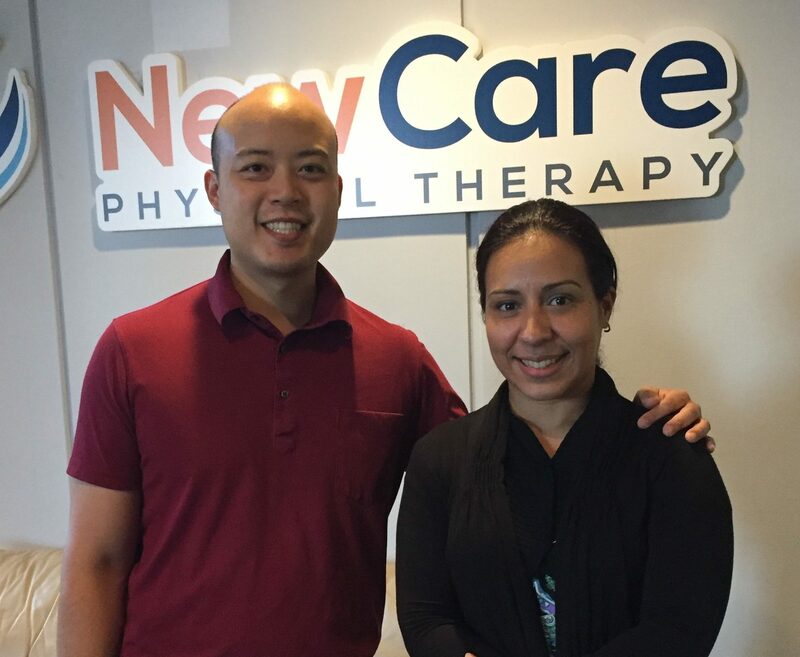 Our patients are receiving immediate relief with physical therapy. Cynthia started out with 5 millimeters of mouth opening (not wide enough to fit a straw…). This means she could not even drink soup for 3 weeks. After a month of Therapy, she’s all smiles! Call 678-718-5240 to schedule a 10 min phone consultation with our Therapist today! The temporomandibular joints (TMJ) are the two joints that connect your jaw to your skull. More specifically, they are the joints that slide and rotate in front of each ear, and consist of the mandible (the lower jaw) and the temporal bone (the side and base of the skull). According to the American Dental Association (ADA), the TMJs are among the most complex joints in the body. These joints, along with several muscles, allow the mandible to move up and down, side to side, and forward and back. When the mandible and the joints are properly aligned, smooth muscle actions, such as chewing, talking, yawning, and swallowing, can take place. When these structures (muscles, ligaments, jaw bone, mandible, TMJ) are not aligned, nor synchronized in movement, several problems may occur. Temporomandibular disorders (TMD) are disorders of the jaw muscles, temporomandibular joints, and/or the nerves associated with chronic facial pain. Any problem that prevents the complex system of muscles, bones, and joints from working together in harmony may result in temporomandibular disorder. The symptoms of TMD may resemble other conditions or medical problems. Consult a dentist or your physician for a diagnosis.